Elmbank Hotel York. Close to York Racecourse. Elmbank Hotel York, has 48 spacious bedrooms in the main hotel building and another 15 rooms in the refurbished lodge adjacent to the hotel. Comprising a selection of standard (Single, Twin, Double, Quad and Triple rooms) as well as Executive Rooms offering guests the luxury of a four poster bed. Each of the 63 bedrooms comes with a range of convenient facilities. 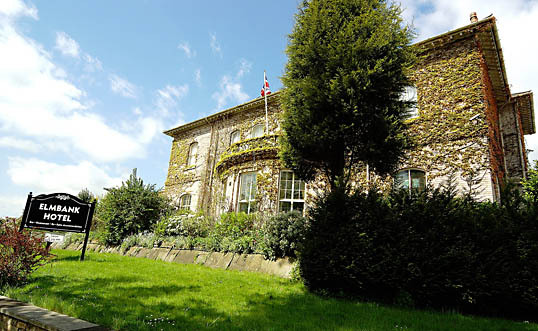 The Elmbank Hotel is ideally located within walking distance of York Racecourse.